The Irish Clock is an Irish style pub on the popular Samphan Thamit Alley in Udon Thani City Centre near to Udon Thani Railway Station. The Irish Clock is not the best place to eat Western style food in Udon Thani, I think the nearby Good Corner Restaurant is better, however its a good place to go if you want a pint of draft beer and prices are slightly cheaper than they are at the Good Corner Restaurant. The Irish Clock has a few tables outside, and lots of tables in an air-conditioned non-smoking room inside. The inside bar has large screen TV which shows sporting events all day long. If you want somewhere to go to watch a football match then this is the place. The bar has Guinness and Heineken on draft and sell bottles of Leo, Chang and Singha at reasonable prices. 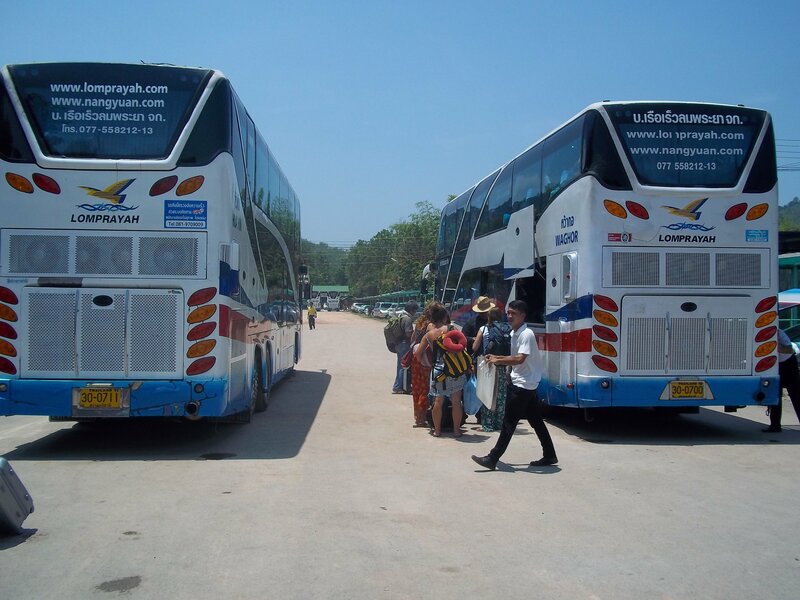 The service is friendly and efficient with a Thai lady with very good English running the establishment. The Irish Clock has a generally older white male clientele, many of whom attend the bar with a Thai partner and their family. 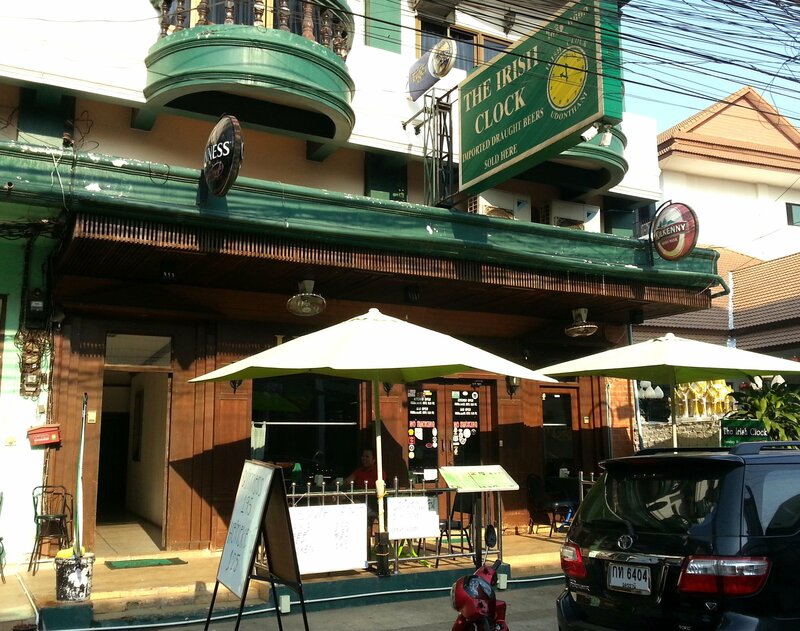 As Western bars in Thailand go the Irish Clock is a fairly good one and its rarely attracts unpleasant patrons of the kind that fill establishments of this kind in places like Pattaya. 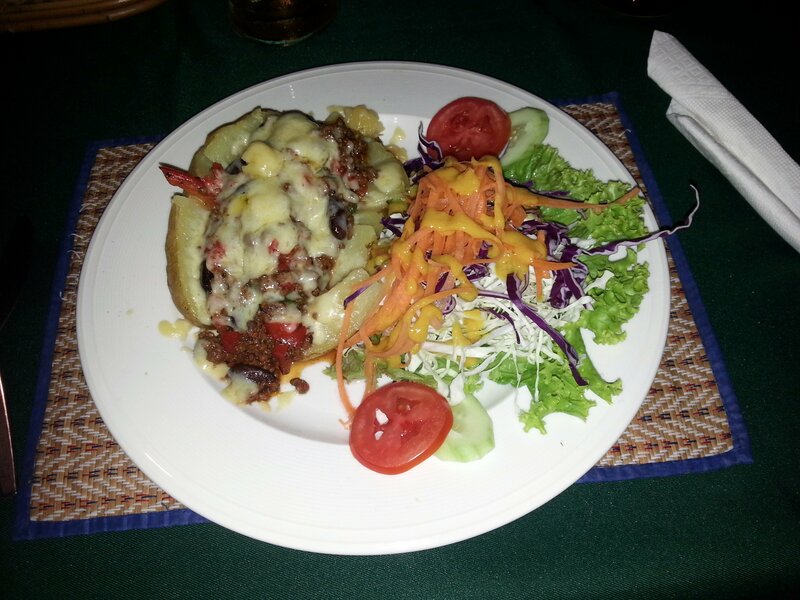 The Irish Clock serves a lot of Western dishes and a few Thai dishes, which are more expensive than they might cost you at restaurant which focuses on serving Thai food. I eaten a few dishes here, all of which I have liked: English breakfast (140 THB), English sausage baguette (150 THB) and jacket potato with chilli con carne. 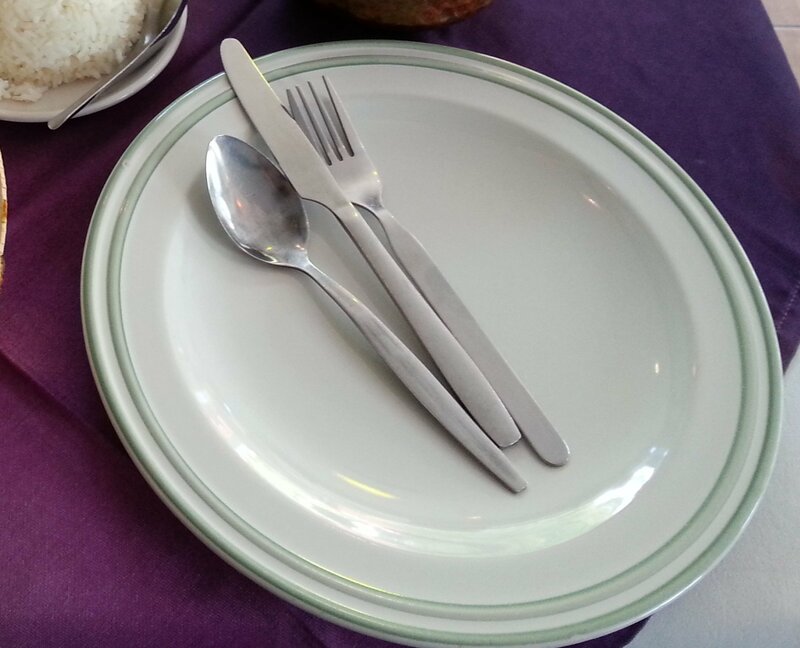 I rate the food as the Western food as being as good, or thereabouts, as you will get in Thailand and far better than the very poor versions of Western food you sometimes get served at hotel or guesthouse restaurants in thailand. The big sellers at the Irish Clock are the Sunday roasts (170 THB) and pie and chip dishes (190 THB). I haven’t tried them myself but I have seen a lot of people who did and they all seemed pretty satisfied. 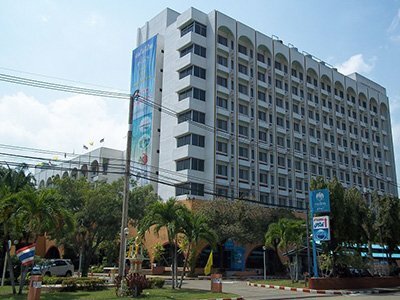 The Irish Clock is located 600 metres walking distance from Udon Thani Bus Terminal 1.